It’s not your usual artist appearance on Saturday 13th April at Westover Gallery. Artists Peter & Jayne Smith will be bringing their weird and wonderful paintings from the Eccentricus Britannicus collection to the gallery, and this artwork is not exactly... typical. Subjects include right royal ice cream, a slippery Sherlock Holmes and an artwork exposing the real story behind the sinking of the Titanic. We’ll also have a whole collection of Original paintings and rare Impossimal artwork from the internationally collected artists! 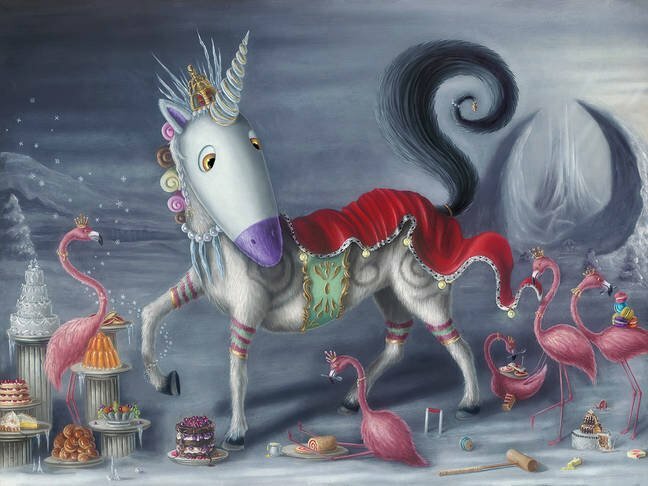 With so many unique stories in this Lost Impossimals collection, we thought we’d share some of the zany details of these amazing paintings. Read our snippet from the exhibition catalogue and don’t forget to RSVP to this month’s show! The Titanicus Giganticus Britannicus hated its underwater soapy bath time being disturbed by what it called sightseers and purposely pushed an iceberg in the way of the Titanic, ‘I love playing with rubber ducky but all these ships are taking it too far’ it explained many years later to a local newspaper about the tragedy, ‘Anyway, it had a hole in it.’ It concluded before purchasing a new sponge and returning to the depths of the sea. In 1878 newlywed Agnes Marshal moved into her new house, overcome with enthusiasm. But when she came to a mysterious cold room, a shudder went through her body. She paused puzzled before slowly opening the door and peering in the room was normal if a little cold, full of furniture with a beautiful painting of a very grand horse on the wall above the fireplace. She admired the painting for a while then turned to leave closing the door behind her on the way out, but a noise from the room stopped her in her tracks, it sounded like a horse. The British Empire’s Tenpenny Britannisaurus Rex made its first appearance in 1901 featuring on popular posters of the day as well as coins, stamps and pottery. 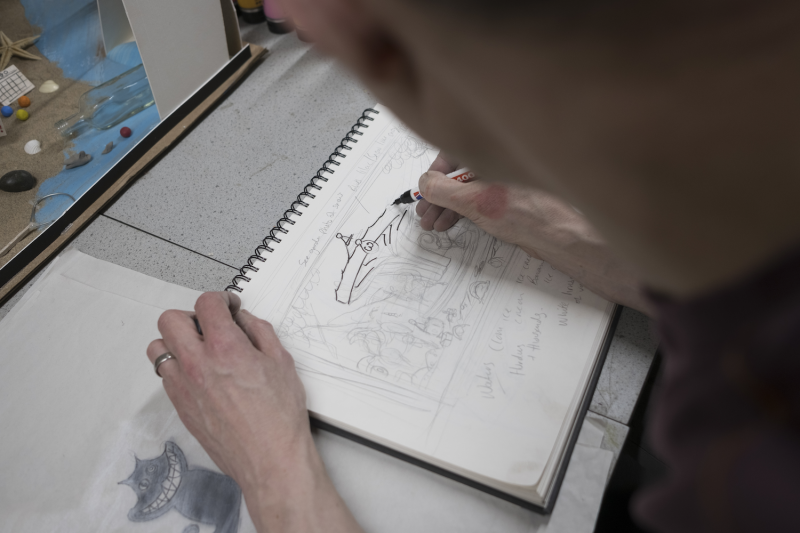 The Britannisaurus Rex was used to reflect the mood of Britain and the face of a nation; the spear is held with serenity, the shield with strength and the robe is a flowing representation of the stable, rocky surface of Britain itself. 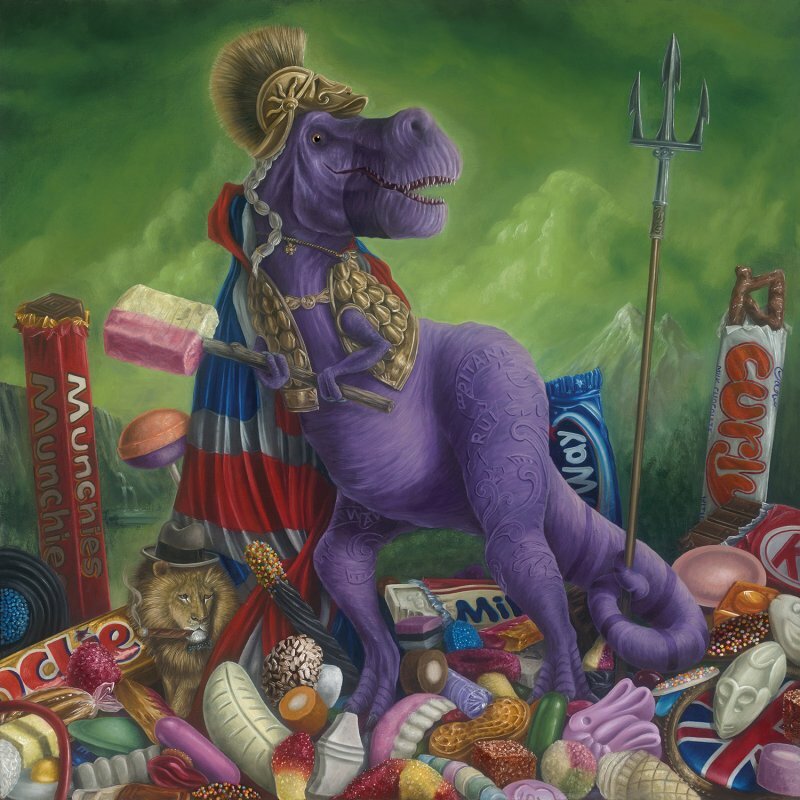 The selection of sweets surrounding the Britannisaurus Rex have been carefully selected to pass on a message too. You can do what you like to Britain but f*** around with our sweets and you’ve got trouble. 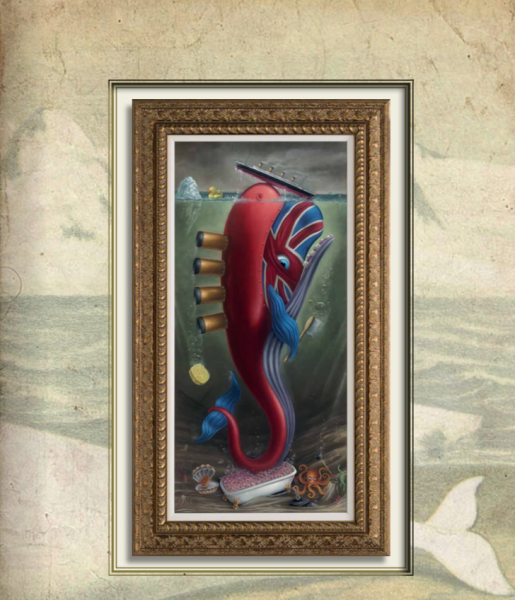 Learn about all the limited edition paintings in the collection be reading the Eccentricus Britannicus brochure here. Meet the minds behind the collection Peter & Jayne Smith on Saturday 13th April. Every piece in the limited edition collection and exclusive original artwork will be available. Plus, we have several artworks the previous collections – something to suit every Impossimal fan! So enjoy glass of bubbly and have your purchased work dedicated at this amazing exhibition!